Charles Schumann, proprietor of Munich's legendary Schumann's bar and author of the international classic "American Bar", first published in 1984, has set standards for decades. The basic bar selection line consists of tried and tested classics for the bar and also offers, with regard to its interplay of function and design, new sizes and accessories. The fifteen part Basic Bar Selection by Charles Schumann has been designed so that each glass highlights the specific character of the drink that's poured into and sipped from it. The Basic Bar Selection is manufactured in Tritan crystal glass, which sets new standards for brilliance, resistance to breakage, and dishwasher safety. 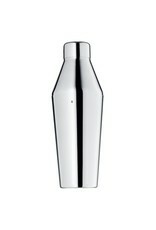 The Basic Bar by Charles Schumann stainless steel cocktail shaker is sleek and functional in design. 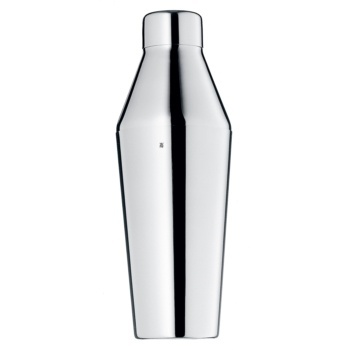 It features a stainless steel lid and base, 23.6 ounce capacity and measures 9 inches tall by 3.5 inches wide. Made in India, it is dishwasher safe.